Pitching an idea to seasoned venture capitalists, and asking for their money, can be a nerve-wrecking experience in public speaking and deal-making for first-time entrepreneurs. Startups that play their cards right can hope however that it opens the doors to the billionaires’ club for the founders. But standing out in a room full of other aspirants and grabbing an investor’s attention can be tricky. 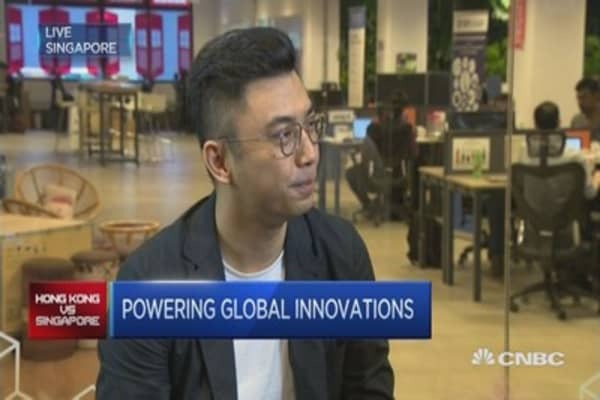 At the sidelines of the Innovfest Unbound conference in Singapore, CNBC spoke to a number of venture capitalists (VC), with existing portfolio investments in China, Japan, the United States, Southeast Asia, New Zealand, Israel and other places, and asked them about factors that influenced their investment decisions. Unsurprisingly, the viability of an entrepreneur’s idea was important, but most VCs said they placed a greater emphasis on the founder’s personality, and on his team. Taizo Son, the brother of SoftBank CEO Masayoshi Son, is the founder of Mistletoe, a venture firm that also is partly an accelerator and incubator. As a seasoned investor into startups, including the successful southeast Asian company Garena, Son said he preferred backing founders over business ideas. To be sure, Son also favors unique ideas and technologies that can differentiate well from the competitors, but he emphasized that passion — one that founders will not give up on during trying times — influenced his bets. Veteran Israeli entrepreneur Yossi Vardi, who has invested in 86 startups, of which 30 made exits, told CNBC in his experience a good idea with poor execution would not go anywhere. But an average idea with great execution could become successful. “When I started, I thought ideas were overrated and now I think ideas are irrelevant. It’s about execution and the personality of the people, rather than about the idea,” Vardi said. To be sure, having a great personality that can convince investors does not mean guaranteed success for startups. The norm is that for every Facebook, Snap or Alibaba, there are thousands of failed businesses — a common figure cited by many says startups have a 90 percent or more failure rate within five years. So what makes a business succeed? 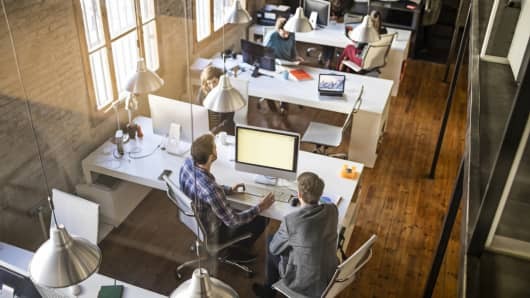 While having a technology or a product that can change the industry, or create a new one, is an advantage, investors say there are several reasons even the most promising startups can fail. One key reason why some startups lag is that they are too slow to bring their product to the market, or offer updates and adapt to competition, according to Tina Cheng, a partner at Cherubic Ventures – an early stage technology VC firm that has invested in over 100 companies in the U.S. and Greater China. While five or 10 years ago, a company could get away with offering the same product or service for a few years, Cheng said today the pressure to innovate is tremendous. To be sure, that pressure is not unique to startups — for example, in the smartphone industry, players are expected to push out new flagship handsets, with improved features and services, annually. “If a company is doing well, it will be in the press. And the next thing you know, there will be a lot of copycats. One skillset that successful startups have is how do they always stay ahead of their competition?” Cheng told CNBC. Delegation of tasks, hiring the right people for the job and managing the team is also important, according to VCs. “We found that many of the founders do not know how to delegate … (and) … they do not know how to hire the right person for the right job,” said Isaac Ho, founder of VentureCraft Group. He added that integrity was also a common problem, where founders would hide the real situation of the company from stakeholders. VentureCraft is a regional venture capital company in Asia that bets on medical technology (MedTech) and the information and communications technology (ICT) sectors. Ho told CNBC about one of his early investments that went south. VentureCraft backed a company in the clean-tech and water technology space. The firm did a financial due diligence but skipped out on looking into the background of the founders. The company folded within three weeks. Digging further, Ho said the firm realized the management team fought among each other, the CTO was fundraising by himself and the company didn’t pay employees for the past four months. The founder also owed debt for several months. “By the time he got the money, he had to fold” said Ho. He added that a good CEO would know how to delegate, when to release his power or consolidate as needed. Today, as part of his due diligence, Ho said VentureCraft looks deep into founder’s’ background – into their classmates, their college reputation, their relationships with their vendors and other stakeholders. One quirky piece of addition Ho adds to the due diligence is assessing how long it takes a founder to respond to his texts on the messaging service WhatsApp. Chintaka Ranatunga, managing partner at Global from Day One Fund 2, affiliated with Sparkbox Venture Group, however, thinks the CEO personality trope is a bit “overplayed” by investors. The fund is an early-stage VC fund with offices in Auckland and Taipei and they invest in Series A level in business-to-business (B2B) software and hardware companies. “I don’t actually think the CEO personality thing is that important. I think it’s a bit overplayed. I do think particularly in the B2B space, domain expertise is extremely important,” he told CNBC. He added that some of the portfolio companies he has invested in have founders with between five to 20 years of expertise in their areas of operation. A common mistake Ranatunga sees among startups in Asia, particularly Singapore, is the blind copying of successful business models from the U.S. and China, without accounting for the relatively smaller local and regional market size.